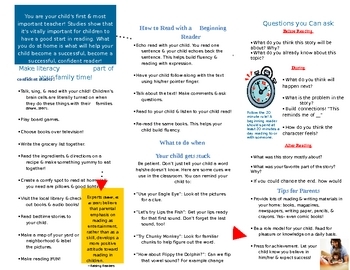 This colorful, appealing brochure lists simple & easy ways for parents to help their child with reading. 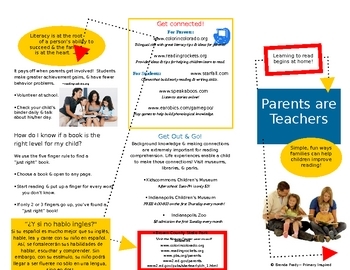 This is an excellent resource to give parents! This brochure is formatted in word & uses these fonts: Minya Nouvelle, Wish I Were Taller. These fonts are available as free downloads.